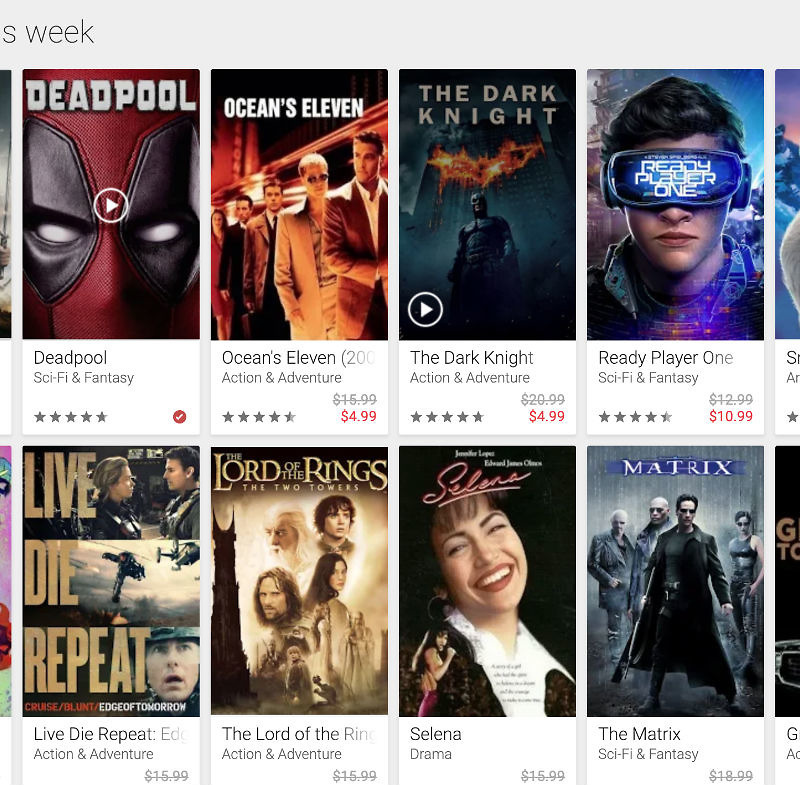 Google Play is hosting a hot little deal on 4K movie titles right now, and considering 4K movies are never the cheapest option when purchasing digital content, this may be a good option for you to spend your squirreled away Google Play credit on. To give you a few examples of what’s available, there’s The Matrix ($5), The Dark Knight ($5), Suicide Squad ($5), Man of Steel ($5), War Dogs ($5), The Shining in HD ($5), and plenty more great flicks. Do note, not all of the titles are available in 4K, such as Gran Torino and The Green Mile, but they’re still $5, so that’s not bad at all. Movie fans, get on it.